Could there be life on other planets? Are we, as humans, alone in this universe? Questions like these have been the subject of hundreds of science fiction films and thousands of crackpot conspiracy theories. But the SETI Institute – a grant-funded non-profit founded in 1984 – is actually exploring said questions through rigorous scientific theory in partnership with NASA. They don’t know if there are aliens out there, but the Institute – whose name is an acronym for the Search for Extra-Terrestrial Intelligence – hopes to someday find the definitive answer. As crazy as it sounds, the Institute has been a valuable source of scientific inquiry, helping to discover extrasolar planets and learning more about bacteria, planetary satellites, and the development of biofuels from microbes. And what’s the next step for these intrepid researchers? 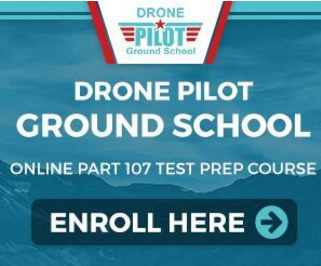 Well, like so many organizations across the world and beyond, they’re excited about the new possibilities opened up by unmanned aerial vehicles. In other words: drones. The SETI Institute has partnered with Astrobotic, a Pittsburgh-based private robotics company that develops technology for lunar and planetary missions, to create “space drones” that would use 3D mapping and surveillance technology to examine caves on the surface of the Moon and Mars. This would cheaply and efficiently provide below-the-surface data for both of these celestial bodies, potentially showing evidence of alien life, but more likely teaching us more about the geology of other planets. 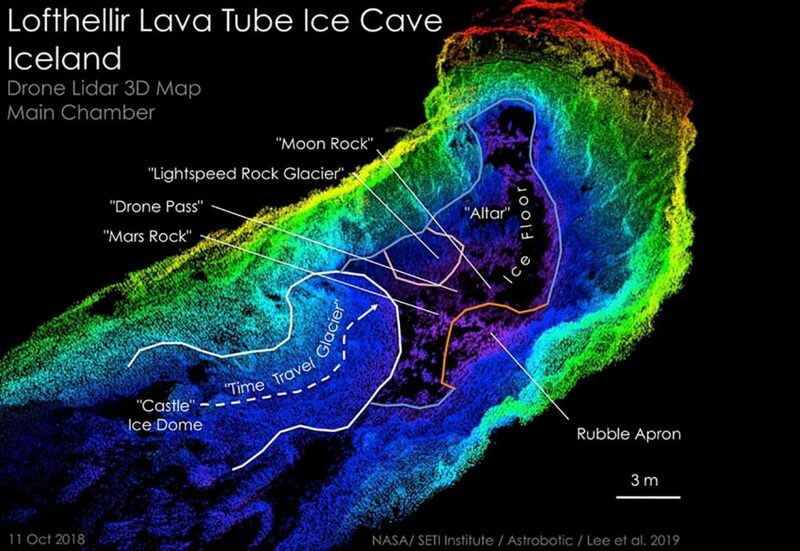 The custom drone in question – which was partially funded by NASA – has already been used to successfully map the 3D interior of an ice-rich lava tube in Iceland using LiDAR, a laser-based surveying method that many of our readers will no doubt already be familiar with. Their hope is for the drones to eventually dive into volcanic caves and create similar 3D maps while searching for signs of water (necessary for all forms of known life) or other dynamic geological processes. “Small free-flying spacecraft might be the ideal robotic platform for the exploration of lava tubes on Earth, the Moon, and Mars for the simple reason that they would not need to come in direct contact with any of the rough and potentially unstable surfaces found inside caves and lava tubes,” said Astrobotic’s Director of Future Missions and Technology Andrew Horchler in a press release. However, though LiDAR-based surveying on Earth is becoming common, these custom drones will have to have a few modifications before they’re ready for space travel. The thin atmosphere found on Mars and the Moon – the same thing which makes it impossible for astronauts to breathe without a space suit – makes it very hard for a conventional quadcopter to stay in the air. Earth drones keep themselves aloft by spinning the air with their propellers to create liftoff. For a drone to travel on a planet with less air, or no air at all, will require the aircraft to be equipped with tiny thrusters. Fortunately, we know that this is well within the realm of possibility, because NASA developed a helicopter-like drone capable of flying on Mars just last year. So even though most of us will never step off the planet’s surface, it’s exciting to think that drones – the very technology we at Dronethusiast work with every day – could hold the key to learning more about our big and beautiful universe.